A New Way of Looking at New Year’s Resolutions! By definition, a resolution is the action of solving a problem, dispute, or contentious matter. It is a solution to, an answer to, an end to, or settlement of…an issue. So when you make a New Year’s resolution the idea is that it is your desire to resolve something that has been bothering you, like a trait or behavior that has been holding you back, or causing you conflict. The history of the New Year’s resolution is really fascinating and goes much further back than one might realize. Historically, New Year’s resolutions were initiated by ancient Babylonians – over 4,000 years ago. They were the first to hold celebrations of the New Year and to make promises (during Akitu, a massive 12 day religious festival) to pay their debts and keep their word. These promises became the forerunners to what we now call New Year’s resolutions. Next came Julius Caesar, who in 46 B.C, established January 1st as the beginning of the New Year. January, was named after “Janus” the god with two-faces who they believed symbolized looking backwards into the previous year, while also looking ahead to the future. Sacrifices were made to the deity to promise good behavior in the coming year. Early Christians established January 1st as the first day of the New Year and as a time of meditation on one’s past errors and resolving to be more accountable for one’s actions in the future. John Wesley in 1740, created the Covenant Renewal Service, which was held on New Year’s Eve or New Year’s Day. The service was initiated as a time to read scripture, sing hymns, pray and make resolutions for the new year. Despite the many religious undertones of this tradition, today, New Year’s resolutions are known primarily as a secular practice. Mainly focused on self-improvement, resolutions have on many levels turned into a money making opportunity by workout centers and weight loss companies, by making you feel that last year’s number on the scale and bad choices were not acceptable, but to fear not, because they have a solution to that! 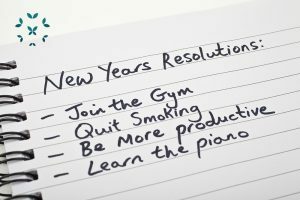 About 45% of Americans make resolutions every year and less than a third of that percentage are truly successful in keeping them. Are you planning on making resolutions this year? 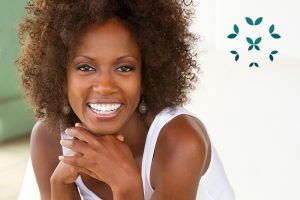 If so, in this blog, we will help you to create meaningful, realistic, healthy goals for your new year living with lupus. Well, besides it being a societal norm, with the new year comes new hope of improving upon the year prior. It also presents an opportunity to feel like we are in control of our life and our choices. And often, with lupus, we do not feel like we are in control one bit. We make resolutions to lose weight, gain muscle, make more money, give more money away, eat less, eat organic, drink more water and drink less alcohol. We make resolutions to read more books, to cut down on social media, to travel more, to find a hobby, learn a new language…the resolutions list, like my medication list, can go on and on. The idea of improving one’s self is a good idea in theory. Particularly, if it comes to health and wanting to make good life choices. However, sometimes we get entirely too caught up making and maintaining the resolutions, that we forget to be present in our own lives. Why do the majority of resolutions fail? Why do we break them before February hits? If I were to offer my two-cents, I would assume the reason so many fail at keeping their “resolutions” is due to the fact that they are not realistic. Or maybe they are not the right resolutions for you at this time. Are you making this resolution to appease someone else? And is your resolution actually resolvable?!? Living with lupus is hard, and stressful. The last thing you need to do is add to your stress plate a side of guilt, shame and a salad of impossible goals. Measurable. This may seem like I am repeating myself from the above goal, however this doesn’t just apply to weight or fitness goals. Many of you may be trying to break a habit, like smoking. Logging your progress in a journal or in your phone might better help you stay on with succeeding at that particular resolution. Achievable. This is a big one for those who are living with lupus or a lupus overlap illness. Don’t set yourself up to fail. For instance, if you resolution is to participate in a 5K, but you know you are having surgery this year, maybe you can talk to your doctor or physical therapist about other achievable goals. Relevant. Is this resolution for you? Or are you doing this for someone else? Are you making this choice for the right reason at the right time? These are important questions to ask yourself. Is self-hate or shame causing you to make this decision? Resolutions that are set out of pressure, guilt or shame won’t last long. Time-bound. Similar to “achievable,” set up a realistic timeline toward reaching your goals. Keep focused on small wins. Resolutions can be good things. But remember to not try and pile more pressure on yourself when you are going through the day-to-day up and down struggle of living with lupus. At the end of the day, it doesn’t matter how many resolutions your make or how many you possibly break. What matters is that you present to the world your real, authentic self and stop trying to please others. That you allow yourself to be present in your own life, to take it in, even in its messiness and be thankful that you have another year to do so. Happy New Year’s and Happy 2018… a year to be you.